Diesel and plug-in hybrid vehicles are recording the biggest rises in CO2 emissions as a result of the new WLTP fuel economy cycle, already impacting on taxation costs for fleets. 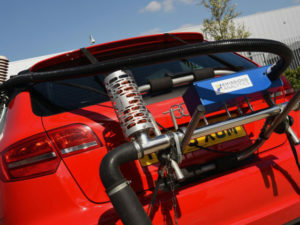 Although tax bands for WLTP, which is expected to produce higher CO2 figures more in line with real-world fuel economy, won’t be brought in until April 2020, manufacturers are already re-testing their model ranges for the new test cycle and this is being converted to an ‘NEDC Correlated’ figure. These are often higher than ‘true’ NEDC figures, and already underpin car tax in the UK. A new study from Cap HPI of more than 600 models from all vehicle sectors shows this varies, but affects popular fleet drivetrains the most. Petrol plug-in hybrid CO2 values are up by 27.3%, while diesel engines were up by 12.6%. Petrol cars averaged a 7.3% increase, while petrol hybrids were at 7.8%. Overall, the study indicated a rise of 10% in CO2 emissions across all sectors. This follows initial research from JATO, published in a white paper last year, which showed the first NEDC Correlated figures were up to 18% higher than the genuine NEDC fuel economy and CO2 emissions. From September, all new cars (except those due to be discontinued) will have to be WLTP-tested, and will have NEDC Correlated CO2 figures. The publication of the study follows a talk from Beth Davies, product manager at Cap HPI, at last month’s Fleet Show where she spoke on the true implications of the new test cycle for fleets and warned that the market is already seeing some significant differences in the values between the NEDC and the NEDC Correlated. Data published by Toyota in February saw the Prius, Prius Plug-in and Prius+ all register CO2 and fuel consumption increases across the board while Volvo has also published WLTP data across its model range, showing a number of rises. All the new data is being integrated into Cap’s New Vehicle Dataset. In the Autumn Budget, HM Revenue and Customs confirmed that VED and Company Car Tax will continue to be based on the NEDC Correlated until April 2020 when the market will switch to a new, as yet unannounced regime.